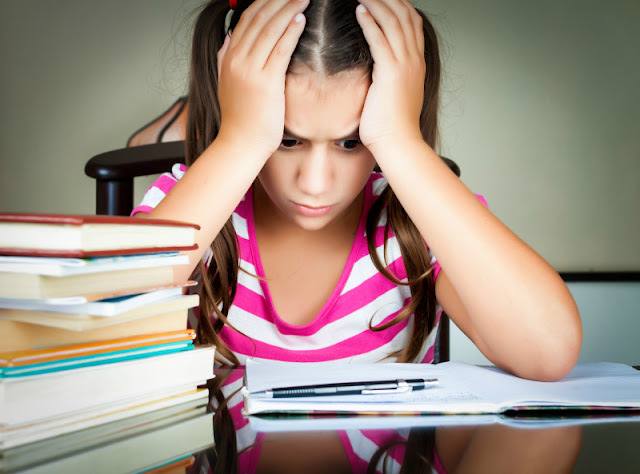 Have you noticed how readily even young children add the words like a million or a billion to their vocabulary? 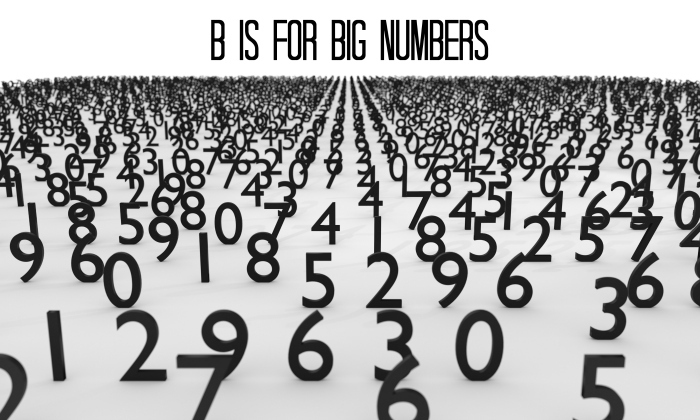 Kids are fascinated by big numbers, and by the end of elementary school they are ready to really understand how big these big numbers really are. They are also ready to meet big number's "cousins" - really small numbers. Why do we even need big and small numbers? Because we have real things in our world that either unimaginably big or extremely small. Luckily, we now have Internet that helps us visualize these things relative to each other in a superb free applet called the Scale of the Universe. I can easily kill 30 minutes by myself traveling the scale from 10 in negative 35 to 10 in positive 27, and I cannot imagine a better way for children to appreciate the importance of big and small numbers and the scale of our wold. 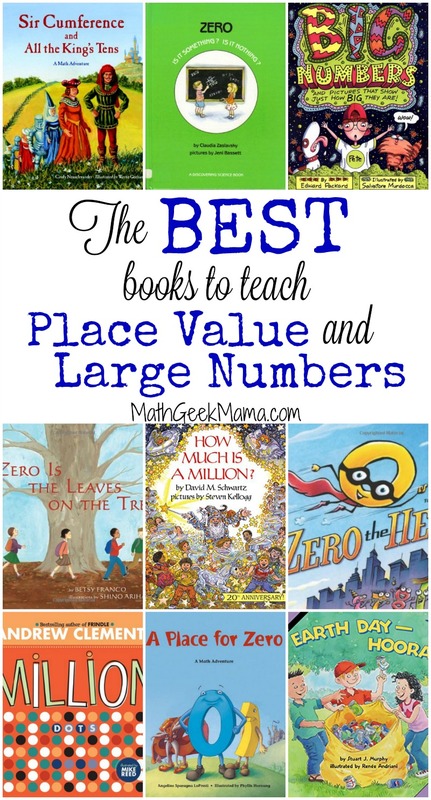 I was going to recommend a few books on the topic, but Math Geek Mama beat me to it writing an excellent post on teaching big numbers and place value through books. 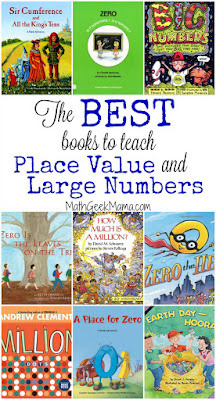 Smarty read Big Numbers and its companion Small Numbers dozens of times over years looking at the pictures and discussing relative size of objects. 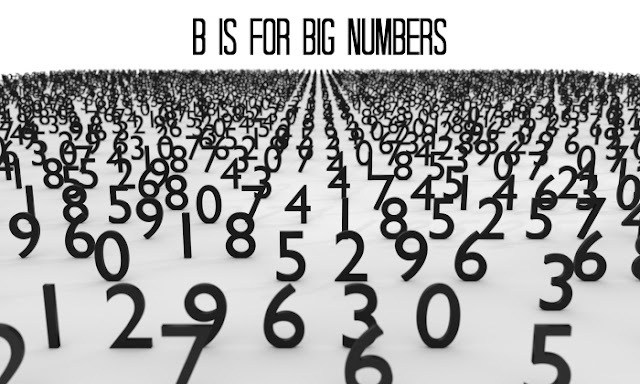 How do you introduce the concept of big numbers to your kids? 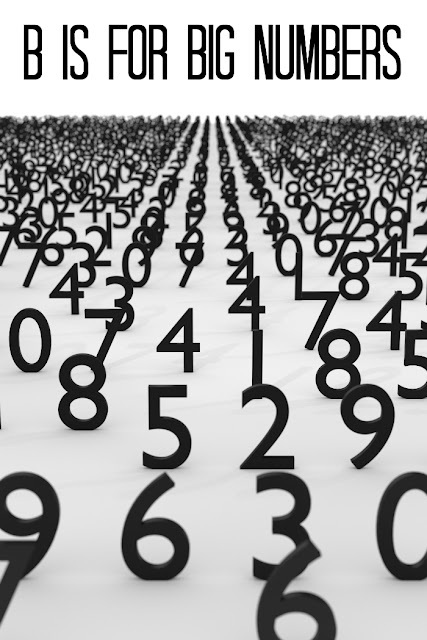 My Johnny especially is fascinated by big numbers. I'll have to share some of the resources in this post with him.